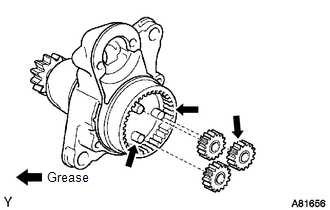 Use high-temperature grease to lubricate the bearings, gears and return spring when assembling the starter. 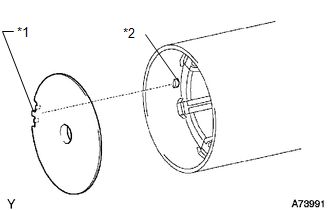 Be sure to install the snap ring in the armature shaft groove securely. 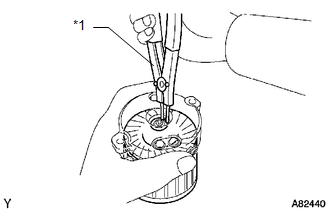 Be sure to properly install the snap ring because it expands easily. 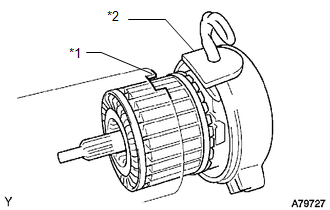 (b) Install the starter armature to the starter commutator end frame. 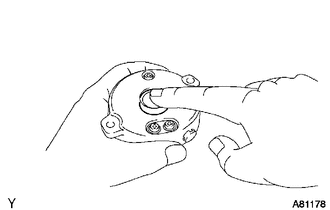 (a) Insert the starter armature plate to the starter yoke. 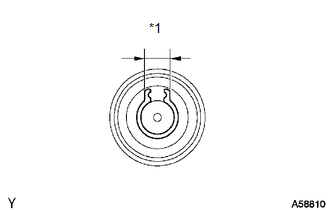 (b) Align the keyway of the starter armature plate with the key inside the starter yoke, and install the starter armature plate. 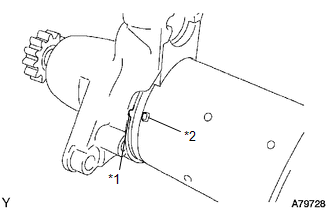 (a) Align the rubber of the end frame with the cutout of the starter yoke. 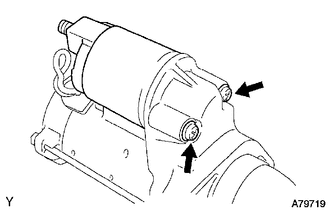 (b) Install the end frame to the starter yoke. 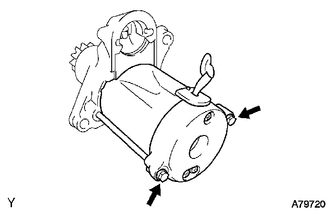 The magnet of the starter yoke may attract the starter armature when the starter commutator end frame is installed, causing the magnet to break. 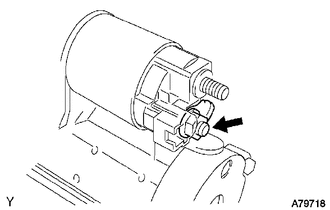 (a) Align the protrusion of the starter yoke with the cutout of the starter drive housing. 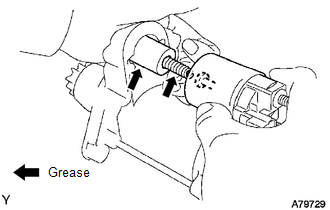 (b) Install the starter yoke with the 2 through-bolts.